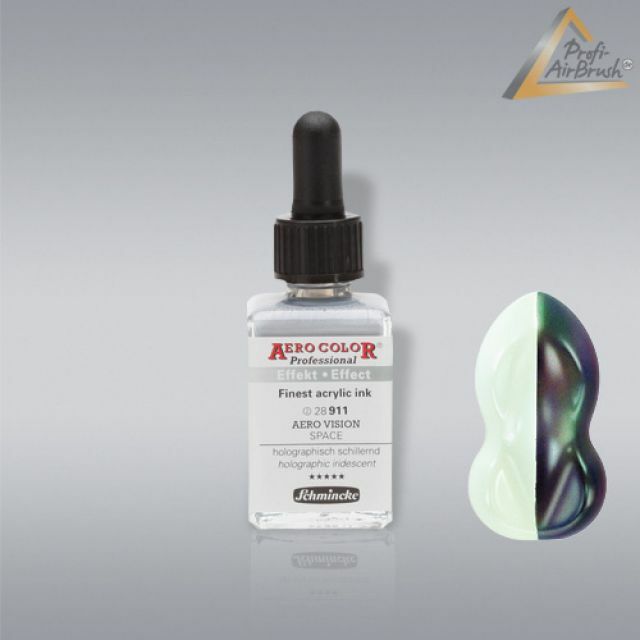 This is a quick demo of the Schmencke aero vision space paint. 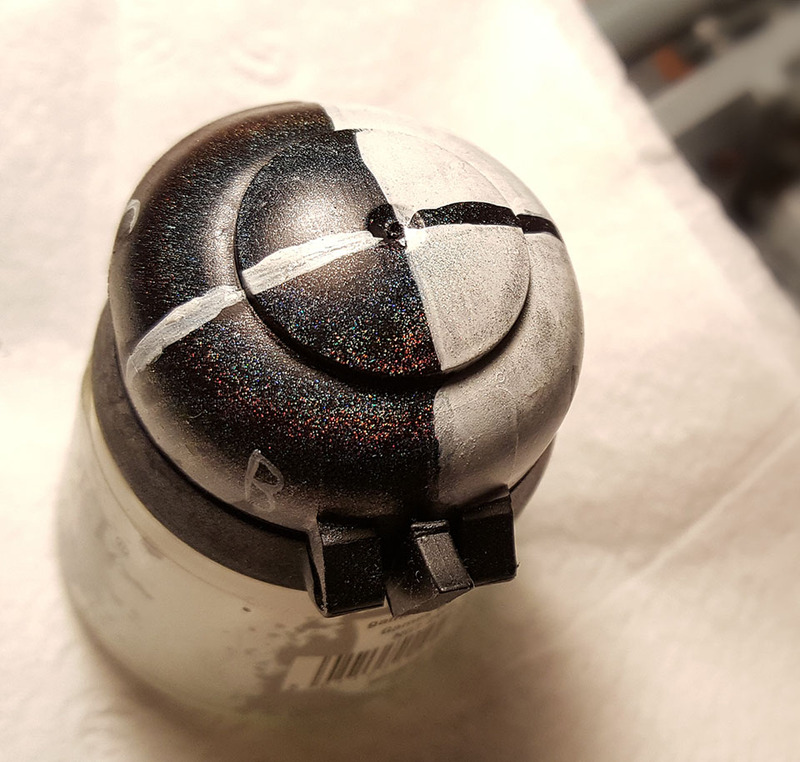 For this test I painted the top of an old paint pot black and white and labeled each quadrant A, B, C, & D. Quadrants A and B I painted on several layers wet. Quadrants C and D I cleaned my brush a bit and painted with an almost dry-brush. I couldn't use a regular dry-brush technique because it's a very wet (airbrush ready) paint. This paint is essentially a clear binder carrying metallic reflective flakes. It should work over any base color, but as my video clip demonstrates it will work more effectively over a dark base color. I'm really excited to try this out in more depth. I think it will work particularly well on Tzeentch and Slaanesh models as a way to add pearlescence to supernatural models. It could also be a great way to make Tyranid carapaces look more iridescent and bug-like. Interesting, it's less lustrous and more flecked than I initially thought. @Nordicus on reviewing Kairos again the black section just looks unfinished. I think there are 3 ways got could go with his wings without repainting the whole model. There's even a paint that does it. In going to try and get my hands on this stuff too, even at $30 bottle. Definitely looks better on the dark base. @Iraqiel yeah. I'm still on the hunt for a non-metallic iridescent paint or glaze. I know I saw one at an art store but I haven't been able to find it again.